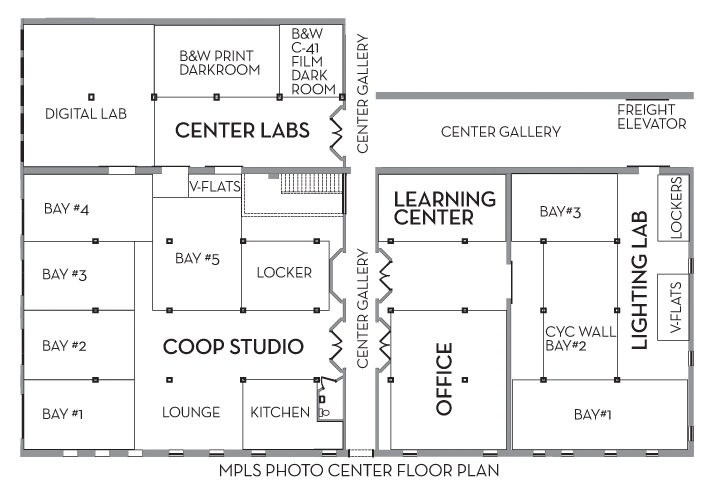 Mpls Photo Center's Digital Learning Center is adjacent to the Digital Lab. 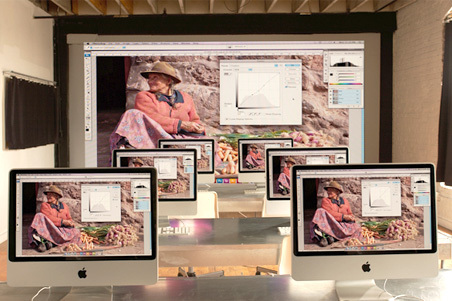 The space is equipped with nine 20” iMac computers, full network capability, HD digital projection. Interested in our Digital Learning Center? 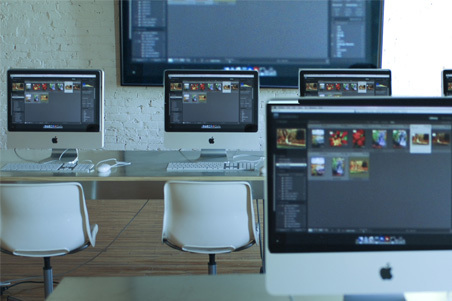 Check out our digital classes or contact us to schedule a tour. For a map of all the studio bays and the location of the Digital Learning Center, click here.